Well it wasn’t exactly a summer vacation, it wasn’t actually a vacation. We have been off tour and off of work for a few weeks. Just returning Monday to do a final show the Library of Congress folks, a thank you to the sponcers. I’m making my way from Minneapolis to Detroit right now in our car. Meeting back up with Josh, who drove the truck back there from Virginia. We certainly made the rounds during the almost three weeks of downtime. Started the trip down in Illinois with my family. There to see my folks and celebrate the 75th birthday of my Grandmother. Then just a short hop up to Josh’s folks for some R&R and shopping. I love the boutiques in Galena and always find just what I’m looking for. Picked up some great pieces to make my fall wardrobe fabulous. The we trotted off to Dekalb, IL and spent some time with more family. We were even around for all the high school homecoming fun. The final stop was in the Twin Cities, we had originally scheduled this to sign the closing papers for the sale of our townhouse. That unfortunately has been delayed until the end of the month. Don’t worry we made the most of our time there. Staying with Josh’s sister and getting quality time in with her boys. Josh’s younger bother, Nathan, also came up from Illinois and thats when the fun really got started. 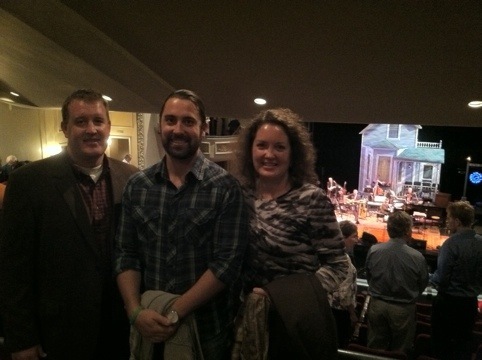 Annika had gotten tickets to a live taping of A Prairie Home Companion. Oh yeah! It was incredible. We had missed seeing Garison Keller at the National Book Festival, that would have been a cheap second anyway. 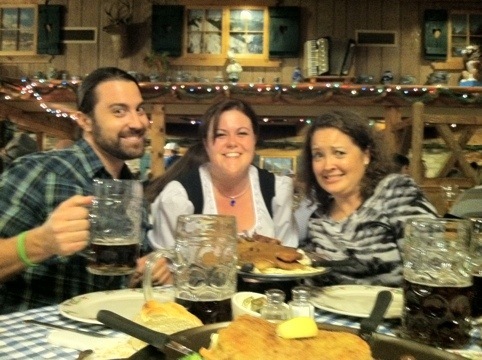 After the show we popped over to a fantastic German restaurant called Gasthof Zur Gemutlichkeit in St. Paul. This place is a blast, one of the stops you make with guests from out of town. 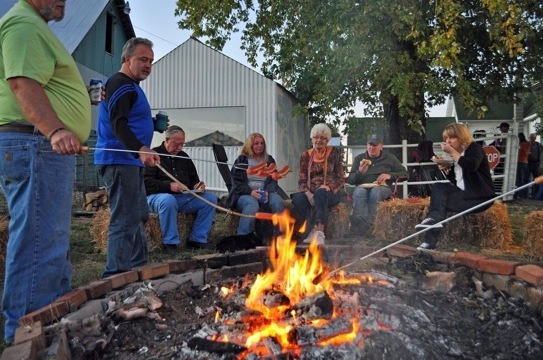 It just happened to be the last day of their Oktoberfest Celebrations. This place is authentic and what a show. Our waitress, Heidi, cracked jokes and was on her toes. The roaming polka band stopped by and all sorts of other “chactors”. We even played the “Boot Game”; if you’re not familiar with this let me fill you in. 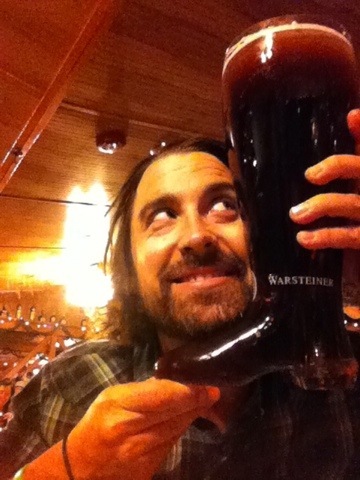 A glass boot is filled with 2 liters of your choice of beer and served up. The rules are: the boot cannot touch the table, the toe must point up, you must flick the glass before passing it and if the you spill beer you buy the next one. That all sounds fine until your holding this heavy monster and trying to keep the beer from splashing on you once air gets to the toes. Hilarious good times. I had more fun just watching the siblings together than all the other fun. Oh and I cut my hair! 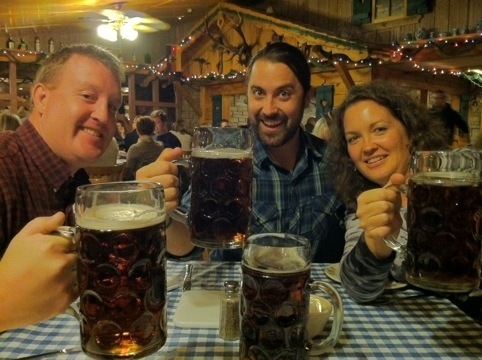 This entry was posted in Beer, Pubs, Seeing Family and tagged Gasthof, Octoberfest. Bookmark the permalink. Sounds like a great restorative holiday, before you get back into work.